2 more days to go before I will head off to my next big adventure: my 2nd round-the-world-trip. Moreover I decided to let my apartment this time while I am gone – knowing that this trip will be longer than the last one – and so I have become a semi-professional cleaning woman over the past month. Emptying an apartment in which you have stored stuff over the past 17 years is a REALLY challenging task! Besides suffering from not too pleasant side-effects of the vaccinations this time and starting to have whacky conversations with my close companions – my duster and vacuum cleaner – I am doing well. 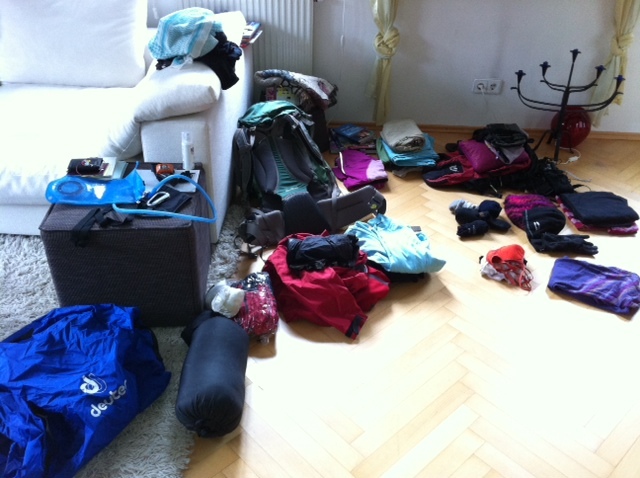 My major task today will be all about the „packing-issue“: I have a 70 liter backpack which has to fit all my stuff for the next 7 months plus a small day-backpack. When you start piling up a few clothes and then add your sleeping bag and hiking shoes you realize that more than half of your packpack is already FULL! And when you add another pair of shoes plus your medicine bag it feels like trying to squeeze an assembled PAX Schrank into a mini Cooper…So every sqare centimeter and every gramm countsJ. Besides doing all sorts of errands I have met up with many dear friends in the past few weeks and I enjoyed every minute of it. I have to admit that this time I find it much harder to leave those friends and family behind than last time but at the same time it makes me very happy to realize how special those people are to me and how lucky I am to be surrounded by wonderful people. I have also received a few really fun and cool things from some people that I will take on my trip and that will always remind me of them- so I want to day special thanks for my new undies to the „underpants-gang“, for my new cool and superwarm hoody (thanks Vera), for my superduper coom „Exilwienerin“ t-shirt (thanks Sonja! ), my travel accessories (thanks, DDB gang! ), my happy-necklace and travel book (thanks, Rudi!) and my lucky charm-pig (thanks, Gabi). Sue & Sarah, my wordpress-heroes: thanks so much for helping me „pimp“ my blog so that I was able to make it look and work the way I wanted it to!!! 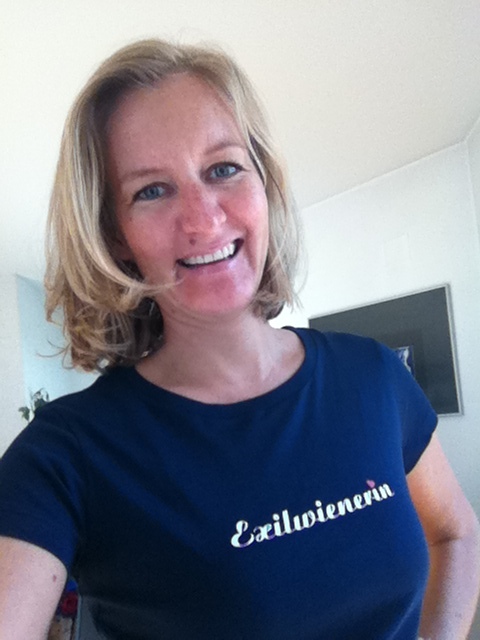 Rosi and Markus: thanks for lending me your muscle-power during my apartment-cleanup! My rough travel route is set via my round-the-world ticket and I have made some accommodation and flight arrangements for the first week in Argentina (and even a 3 day boat trip along the glaciers of Southern Patagonia) but from then on I am pretty much without a plan. I know which direction I want to head and some major sights and places I want to see but I have no detailed plans on when, where and how long. I kind of like that because this will be a new and therefore adventurous experience to me. Posted by Brita Graser on 7. 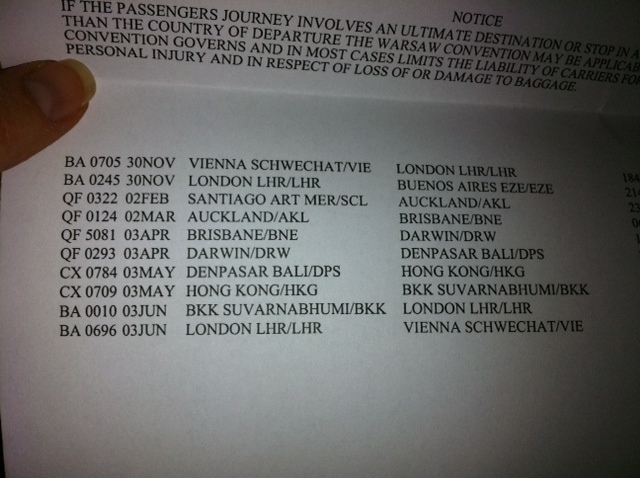 November 2011 in Allgemein and tagged travel preparation.